The HTC U11 would officially launch in India on June 9 and it is expected to be a bigger version of all the HTC phones in terms of specifications and performance. Let's have a look at it. The U signifies the debut of HTC's new design language into its flagship offering. 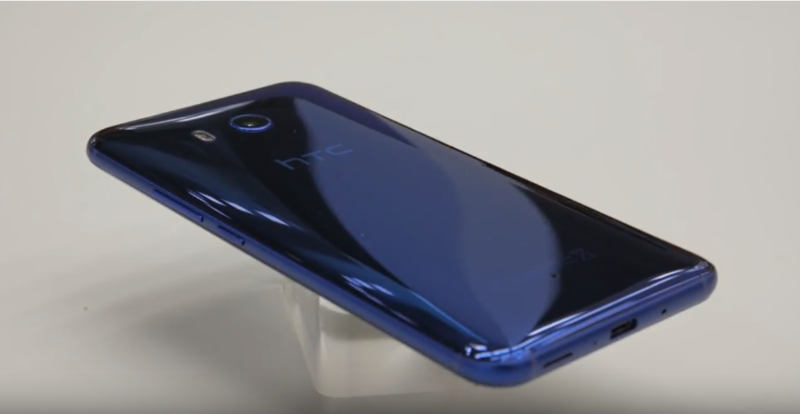 Now unlike many phones, the HTC U11 is made up of three main components – the front glass, back glass and a metal frame. HTC has gone for a metal unibody design and has reduced it down in order to keep ergonomics feel similar. The back of the phone is made of curved Gorilla Glass 5 which fits precisely with the metal frame. HTC had been playing with tolerances to really reduce the seams to the point that you can barely feel them when you run your finger over them. The curved back glass is progressively formed into its curved shape. 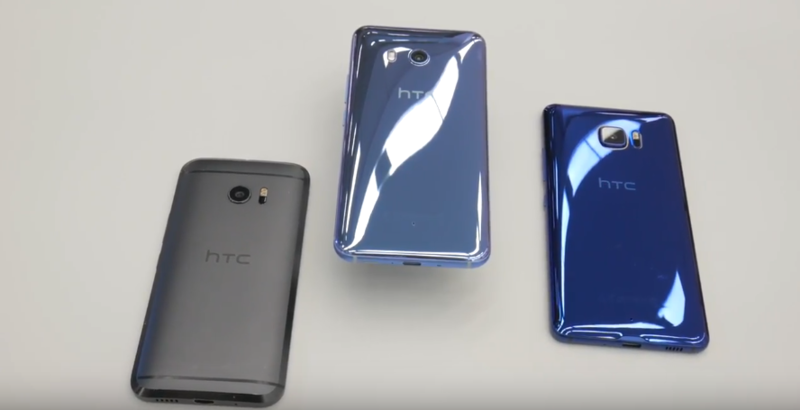 This is what gives HTC its new liquid surface design. Each colour option is coated with tints that compliment the colour when the light is introduced. This results in a look that is conservative yet bold. In the imaging department, HTC has been working hard to develop a great camera experience while the main camera resolution stays the same at 12-megapixels. The aperture has been bumped to an f-stop of 1.7. This combined with the optical image stabilization should make for great low-light camera shots. 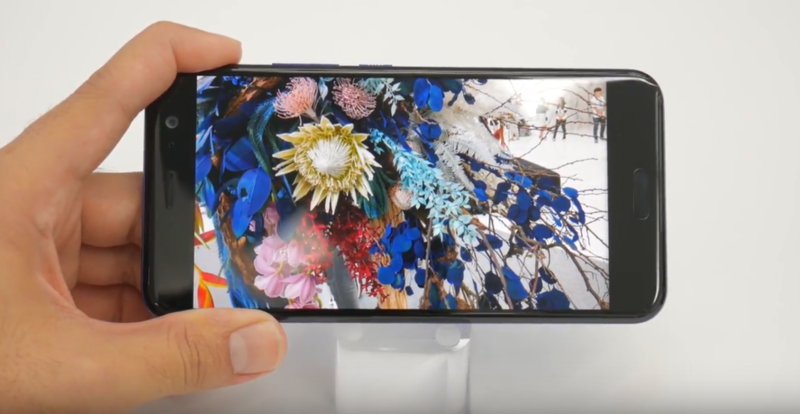 The front camera consists of a 16-megapixel sensor other specs include a 5.5 inch HD Super LCD 5 screen, Snapdragon 825 chipset, 4 or 6 gigabytes of RAM depending on the market and some boom sound speakers that really boom. While we're talking about the audio HTC has been away with the headphone jack now for good but it's not totally unjustified. In addition to the added water resistance, HTC has really taken advantage of USB C and has added the benefit of active noise cancellation with the included new sonic earbuds. The U11 four microphones process ambient noise in the device rather than in the earbuds. At an added bonus these four mics are also capable of recording video with 3D sound. Finally new to the U11 is what HTC calls its edge sense feature, pressure sensors have been embedded into the frame which can be programmed to perform a number of actions with either a short or long squeeze. You can toggle the flashlight, launch an app or open the camera and take a selfie which could come in handy while wearing gloves. Though if you do need to operate the U11 hands-free you can call on Google assistant or Alexa depending on the hot word you use. The U11 is now open for pre-orders in the US exclusively and will be coming to India on June 9 for its official launch.